Ever since opening my first Lloyd Alexander and Arthur Ransome novels I've known that the best books begin with a map. Now grown I make maps as part of my daily labor amongst a capitalist proletariat. These maps are essentially the same maps over and over with slight, insignificant changes which believe me is the bread and butter of modern cartography. But I love making maps and on the weekends I work on just a few of mine own and share them here. My goal (OK technically aesthetic) is to present geographic data (snore) with just enough pictures, video and audio to really bring a map alive. If you already dig maps, I hope you love them. If you don’t really dig maps, well give these a shot and if you still hate them give me a shout and tell me why. I would love to learn. The map to the left is the first known map ever, by Anaximander (c. 611–546 BC), and shows what was thought to be the whole world at the time. I put it here to give props to my betters. I also only recently found out that Lloyd Alexander is from Philadelphia, which is awesome because I was raised to believe he was English. The Cherokee called North Georgia the land of a thousand waterfalls and I've been visiting them my whole life. 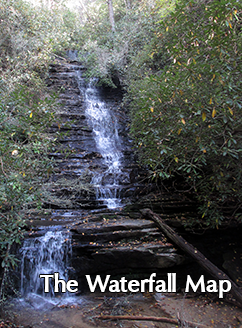 This is like a sort of map-blog as I map out, photo and video all the falls that I find. Trust me, if you're in the middle of an existential rage-quit, this will help calm you down. 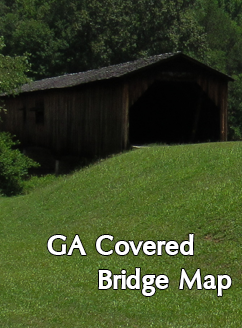 We've got a lot of 19th century covered bridges here in Georgia, but I can never find a complete / accurate map of them all. So here I am making one of my own. It's a research map so only a few bridges have actually been confirmed but I hope to add more as the months go by. 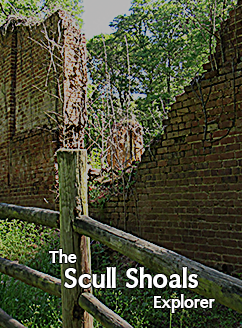 Scull Shoals is a historic site near my home that once was home to more than 6,000 workers. The revenge of Cotton has ravaged this area though and the flooding only increases with temperatures rising. I fear that someday the site may be under water entirely.